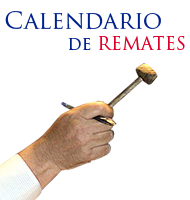 REMATE * 25-ABR-19 * 14:30 Hrs. REMATE CONSTRUCTORA POR TÉRMINO DE FAENA. REMATE * 25-ABR-19 * 14:30 Hrs. REMATE CONSTRUCTORA POR TÉRMINO DE FAENA. REMATE * 25-ABR-19 * 14:30 Hrs. REMATE CONSTRUCTORA POR TÉRMINO DE FAENA.